Tournament smallmouth bass fishing is mostly about the fun, but of course it’s a competition too. 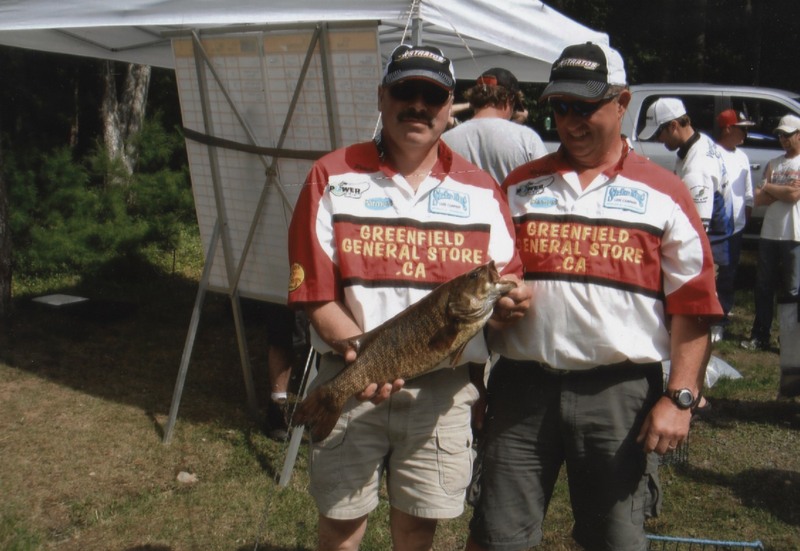 A point of pride is that Robert, my fishing partner, and me hold the South Shore Bassmasters record for the biggest smallmouth bass ever caught in one of the club’s tournaments. It was August 21st, 2011, and we were fishing Ten Mile Lake. It is always a little thrill to catch a fish, but to catch a fish this big was a big thrill. I hooked it and Robert handled the net. When we got the fish to the weigh-in, we found out exactly how big that fish was: 4.68 lbs. What a great memory, and a club record that still stands today.